Dreaming of a bucket-list worthy vacation to Southern California? Wondering where to begin? Palm Springs, is a place brimming with beauty. 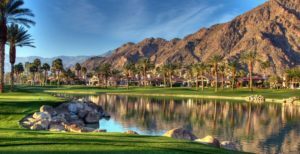 When choosing from the vast variety of exotic activities, six tourist activities that must be done whether that be exploring the surreal landscapes of Joshua Tree National Park, Coachella Valley Preserve, and Palm Springs Tramway, tour either the air or art museums and the Elvis Honeymoon Hideaway. The attractions of Downtown Palm Springs are also a popular—especially the Palm Springs VillageFest. Filled with rugged wonders, the Joshua Tree National Park desert skyline can be savored during the day through nature walks and backpacking. Feeling brave and ready to tackle the night tour? Soak up the mesmerizing starry expanse that stretches in a gentle glow across inky skies. Group site and equestrian camping are available. Lush and fertile, the gorgeous Coachella Valley Preserve has a 25-mile range of trails, whether you are a gentle or hard-core hiker. Love nature but are not a hiking enthusiast? Horseback riding is an option on certain trails. Admission is free while donations are appreciated. Acclaimed to be the “world’s largest rotating tramcar,” the Palm Springs Tramway gives a stunning aerial experience. At the top elevation of 8,216 feet rest hiking, dining, and shopping opportunities. This is not the typical museum experience. Containing living relics from wars past, the Palm Springs Air Museum is a filled with awe- inspiring experiences such as riding in warbird planes or viewing the P-51 Mustang that served during WWII. Appease your curiosity of the rich and famous, and tour the Elvis Honeymoon Hideaway. As the name suggests, this world-renown King of Rock spent his honeymoon here and actually moved in later on. He enjoyed having a retreat to reprieve from stardom and host friends. Presently, the location can be reserved for a wedding or honeymoon or simply toured. Need something less luxurious? There are many other appealing honeymoon hideaways. Reservations can be made with any Palm Springs villas for a romantic escape. One of the best parts of a trip is selecting a special souvenir to bring home. Whether shopping antique, boutique, or thrift, relaxing at a nearby salon, dining at delicious ethnic cuisines, Palm Springs Downtown ensure a memorable stay. Also in downtown Palm Springs, the Palm Springs VillageFest is “the Valley’s finest event” held each Thursday and comprised of lively vendors. The atmosphere is open and free, the music live, and the shops late. For art appreciators, the intriguing Palm Springs Art Museum houses unique displays of artwork from aged pieces to ones with a chic, modern flair. Detailed, intricate handiwork is there for admiration. Weddings can also be hosted here along with catering, music, and entertainment! Vacationers have a variety of activities to plan, but touring surreal national park landscapes, browsing a living history or art museums, visiting the home of a Hollywood star, and spending a leisurely day or evening downtown are among most unforgettable activities in Palm Springs. Have Budget Airlines Killed The Glamour Of Flying And Air Travel?